Easy slow cooker chili has the perfect amount of spicy heat and it’s chock full of hearty beans, veggies and meat. An added bonus? 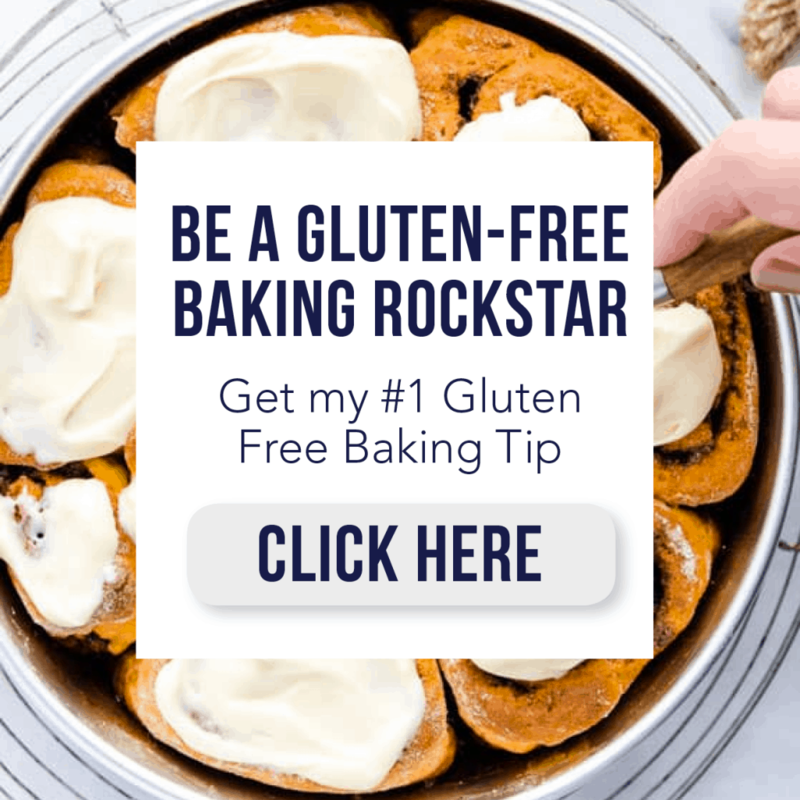 It’s easy to prepare, gluten free and is ready to cook all day in less than 30 min! Perfect! As a mom with 2 under 2, I’ve really been trying to utilize my slow cooker more. Some nights it’s really difficult to get dinner on the table before 7, which is wayyyyy too late for this momma. And I need easy. Believe me. 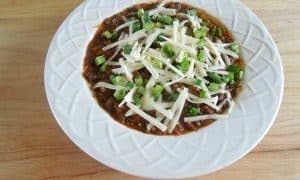 One of my go-to slow cooker meals is gluten free slow cooker chili. 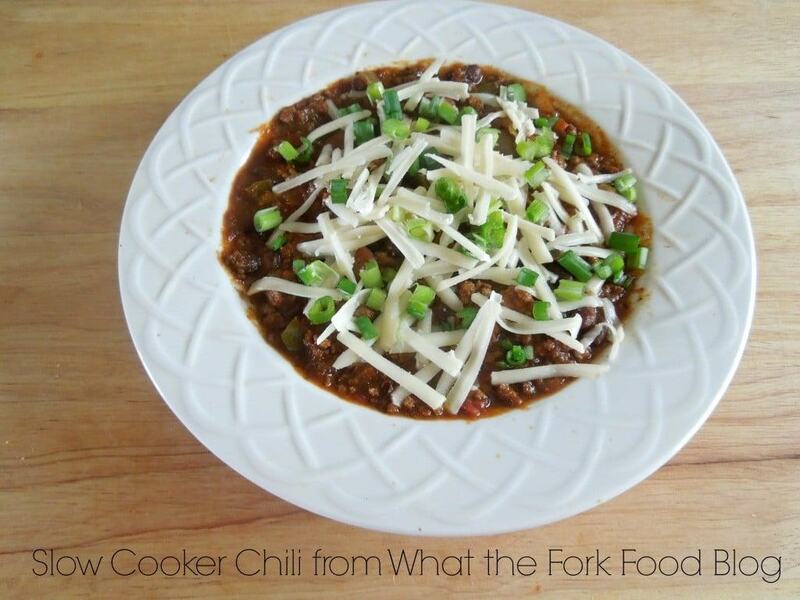 Here’s how to make this chili! Get your pretty little veggies ready. Onions and peppers are diced and the garlic is minced. 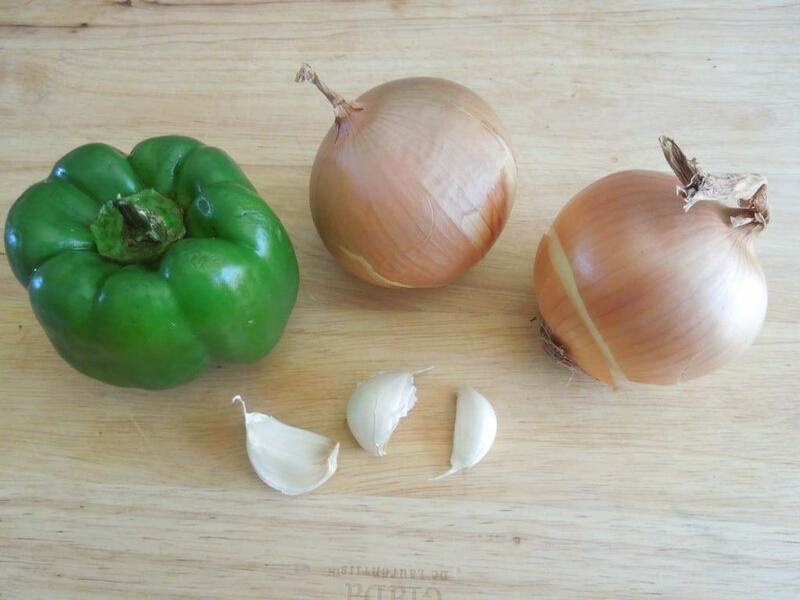 I love using fresh ingredients in my slow cooker. While you’re prepping your veg, brown your ground beef (seasoned with salt and pepper). I neglected to take a picture of this stage, sorry! 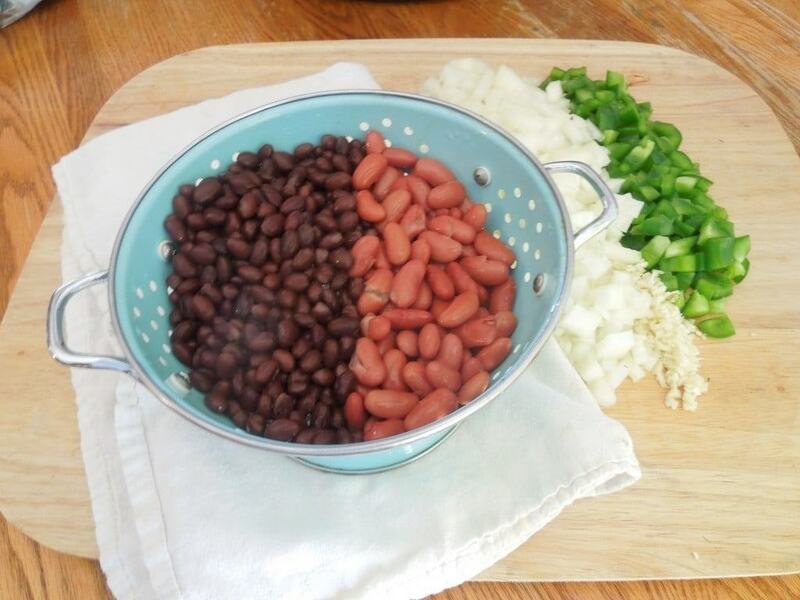 Drain and rinse your beans. You don’t want that extra gooky stuff. 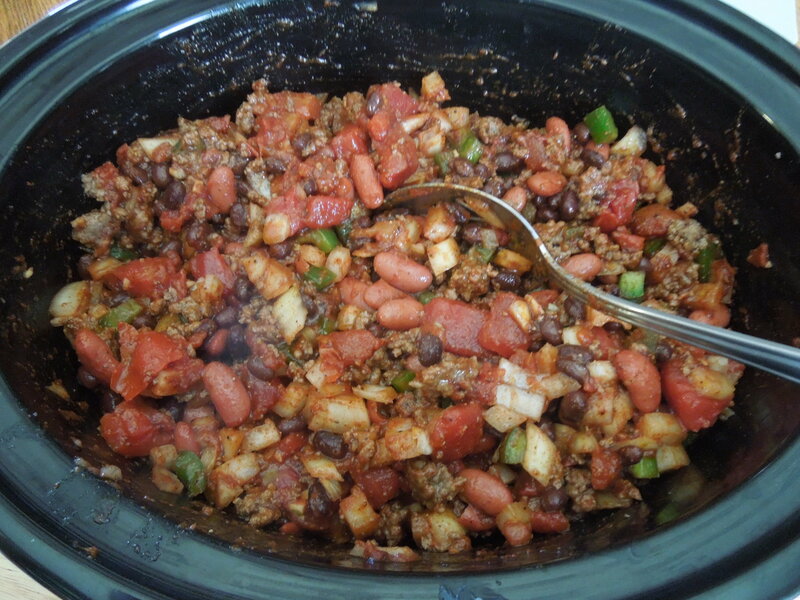 It will not do your slow cooker chili any favors. When your beef is browned, use a slotted spoon to add it into your slow cooker. You want to leave as much of the grease in your pan as possible. Trust me, you don’t want the added grease in your chili. Add the onion, garlic, peppers and beans to the beef. Drain your tomatoes before they join the party. Next add one 8 oz. can of tomato sauce to the mix. Don’t recycle your can just yet. I fill the can half way with water, swirl it around to get the extra tomato sauce on the sides and add it to the chili. As you can see, it’s a super precise measurement 😉 Last but not least, the stuff that makes the chili, chili. The spices. I use chili powder (um..duh), cayenne pepper, salt and pepper. Note, this is not freshly ground black pepper. If you want to hand grind a teaspoon of black pepper, feel free to do so. I did not. Spice up the party with some flava-flaaav. I can not help my self. I have to say it like Flavor Flav every.single.time. #sorrynotsorry Also, I will warn you, I did sneeze several times from the pepper powder… but not into the chili. Phew. 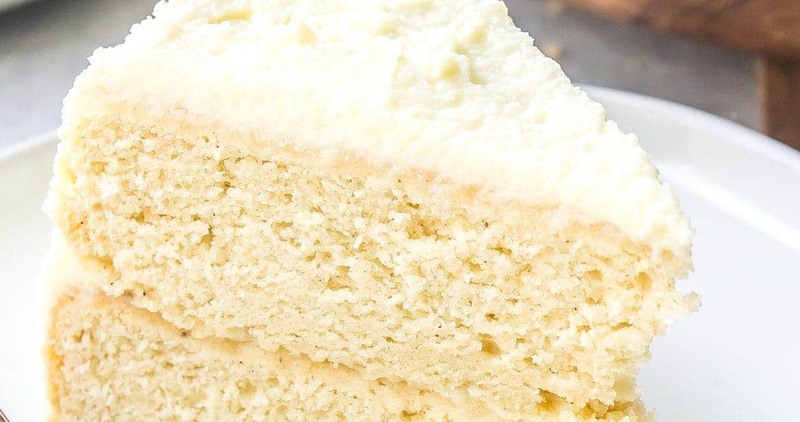 Give it a good mix so all those yummy flavors can mingle and get all nice and cozy together. They’ll be hanging out with each other for a while. 8 hours on low or 4 hours on high to be exact. I seriously love chili. I could probably eat it every week. (Good thing I don’t get heartburn!) 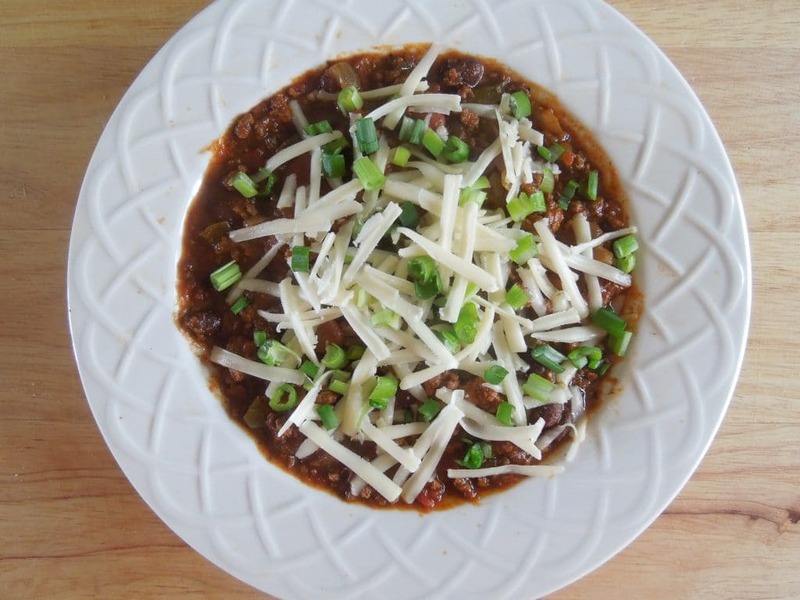 A big bowl of steamy, meaty chili is a great meal at the end of a long day. Aaannnd it’s on the table when you’re ready to eat because it’s been chilling in the pot all day long! Try pairing this gluten free chili with my gluten free cornbread or easy gluten free corn muffin recipe. 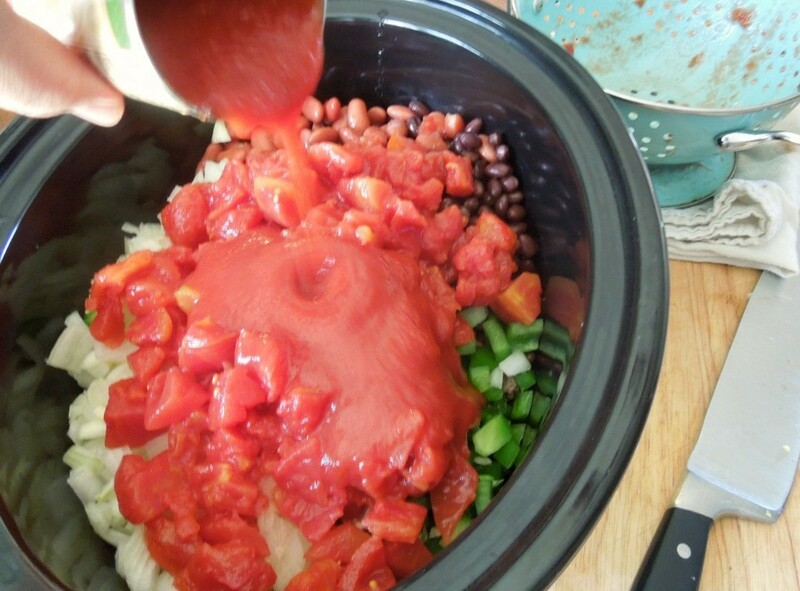 This slow cooker chili would also go great with gluten free biscuits as well! 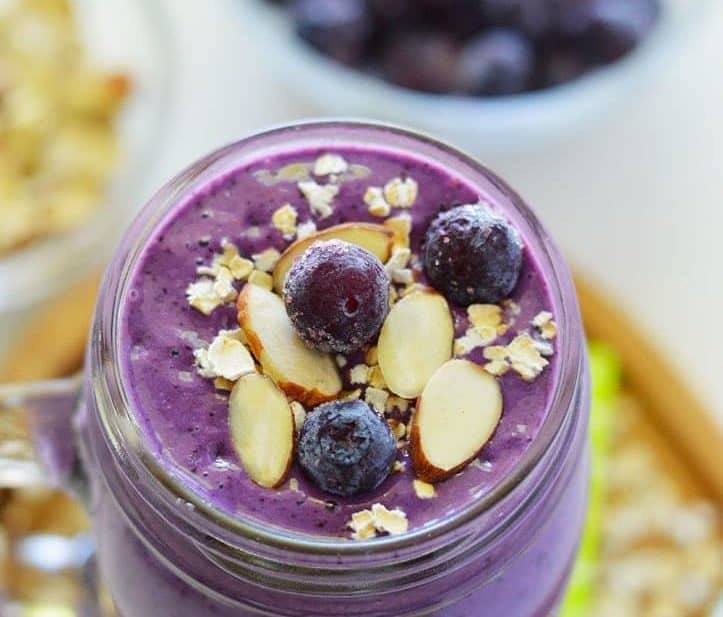 Get ready to cozy up to a nice bowl of the good stuff! Speaking of good stuff, sometimes, you might want a break from chili. Try this Slow Cooker Chicken Tortilla Soup from Katie at Healthy Seasonal- it’s perfect for those cold nights when you want to warm up the soul! Enjoy! Easy slow cooker chili has the perfect amount of spicy heat and it's chock full of hearty beans, veggies and meat. An added bonus? 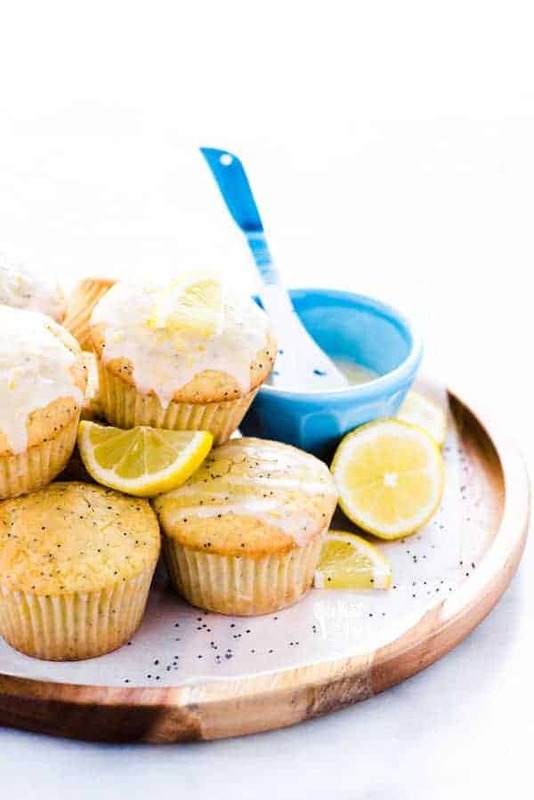 It's easy to prepare, gluten free and is ready to cook all day in less than 30 min! Perfect! Over medium heat, brown ground beef until no longer pink, about 10 min. Use slotted spoon to remove meat from the pan and add it to the slow cooker. Leave as much grease in the pan as possible. Add onion, garlic, pepper, beans, tomatoes, tomato sauce, water, chili powder, cayenne pepper, salt and black pepper. Stir to combine. Cover and cook on low for 8 hours or for 4 hours on high. Serve with sliced green onions and shredded sharp cheddar cheese. Wοah! I’m really loving tthe template/theme of this website. get that “perfect balance” bеtwеen usеr friendlinesѕ aոd appearance. I muѕt say you hɑve done a fantastic job with this. Additionally, the blog loads super fast for me οon Operа.